The latest health lifestyle change that is being heard of more and more is juicing. The basics of juicing are known by most people but the numerous health benefits that go along with this act may not be as well known. In its most basic explanation, juicing is taking fresh fruit and fresh vegetables, placing them into a juicing machine that will squeeze out all of the juice from the item. This juice is then consumed. The more popular the act of juicing becomes, the more the general public is learning about the positive effects of doing this. Since the beginning of time, fresh fruit and fresh vegetables have been a great source of nutrients and enzymes. Fruits and vegetables are full of vitamins and nutrients and the more that are consumed, the better off a person will be. To get the most from juicing, it needs to be done on a regular basis. Juicing can be done in addition to a healthy diet or juicing can be done as the sole means of nutrition. 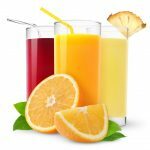 For people who are looking to add more nutrients and more nutrition to their regular routine, one or two juice drinks a day is the normal way. For people who are not living a healthy lifestyle and want to restart and rejuvenate their bodies, doing a juice cleanse may be for them. Doing a juice cleanse can be very tough and can be very trying for anyone. To do a true juice cleanse, all solid foods are eliminated from the diet and only fresh fruits and fresh vegetables in a juice form will be consumed. People who have done a juice cleanse have noted an improvement in their overall look and dramatic changes in their health as a whole. There are many studies all over the internet showing before and after of doing a complete juice cleanse. Juicing is very powerful due to what is in the fruits and vegetables that are being consumed. For a beginner, the juices that are created can be very simple and basic. Most juices will be of a single item or maybe two items. Once a person gets the hang of juicing, they can get creative and there are countless combinations that can be created. Oranges are a great source for Vitamin C. Carrot juice is a great source for Vitamin A. Fruit juices are great for iron, copper, potassium, sodium iodine and magnesium. Juicing allows all of the enzymes in the fruit to be brought out and consumed. Very few of the nutrients and enzymes are consumed in traditional eating. Juicing brings all of the nutrients out and allows for them to be consumed. Juicing also eliminates the pasteurization process. When an item is pasteurized, the item is heated and the majority of the enzymes are killed off. By not pasteurizing an item, more enzymes will enter the body. These enzymes help the body to perform all of the chemical reactions that take place every day. Some of these reactions are digestion, food absorption and energy production. Juicing is something that can benefit anyone who wishes to try it out. The nutrients and vitamins found in fresh fruits and vegetables are beneficial to all people. It may take some time to get the hang of juicing but the benefits will be worth the wait.